School is In Full Swing... 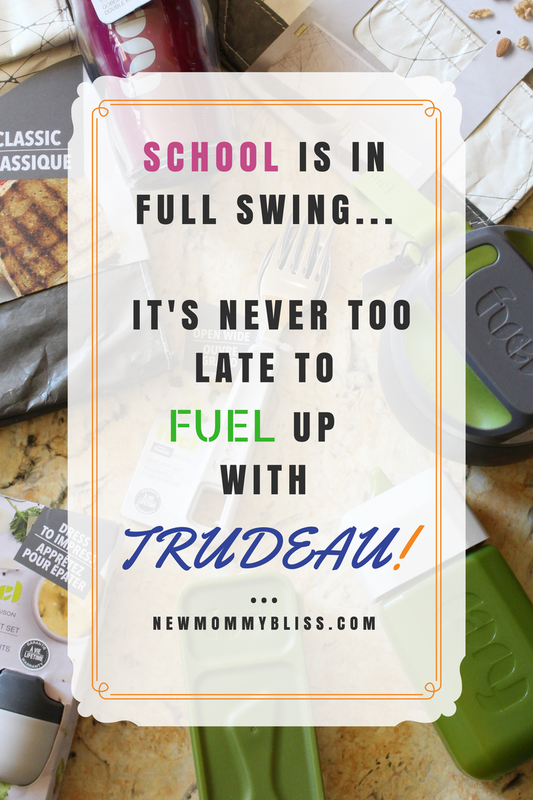 It's Never Too Late To FUEL Up with Trudeau! Disclosure: We received products in exchange for our honest review. All opinions are Our own. We are well into the school year, but we are still packing school lunch boxes or even balancing our own meals on the go. Everyone is looking for healthy, easier and more economical ways to pack food and take it with them. And if you think you've found it, Think Again! Trudeau’s FUEL collection is packed full of food and beverage storage containers that all match our different needs. Wanna learn more about this great collection? Trudeau's FUEL collection offers specialization to match a variety of needs, lifestyles, and food choices that we make either for ourselves or our family. The sturdy designs are clever and attractive. They demonstrate innovative and durable construction to help keep foods fresh all day long. 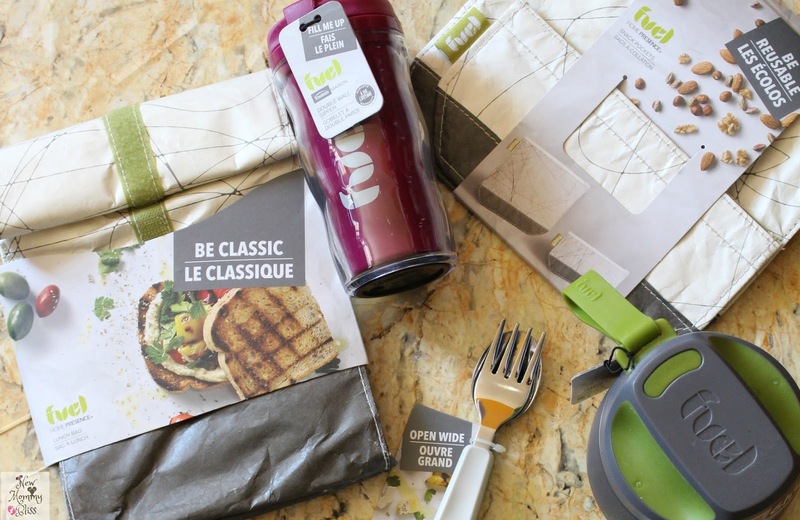 We were provided with a bunch of the wonderful products from the FUEL collection and Let me tell you, I am a FAN! 10 oz. Nectar Juice Box - We took this along to our Central Park Zoo outing and it was great. I was able to just fill it and toss it in my bag without worrying about spills. 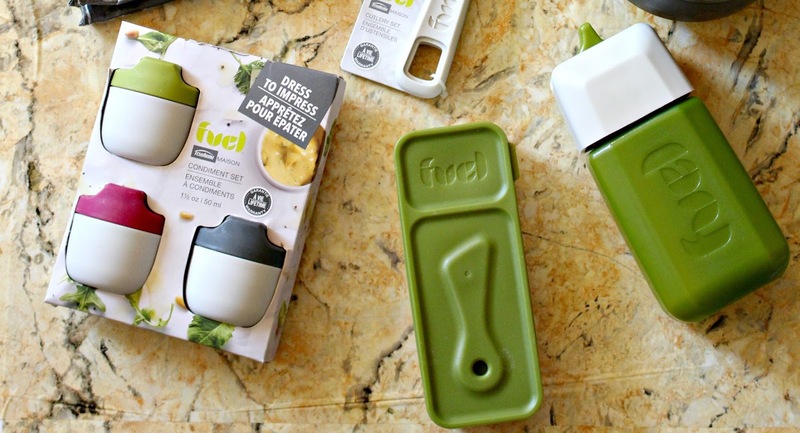 It has an adorable Juice Box look that features built in straw and flip spout. It's actually conveniently sized to fit perfectly into lunch boxes! Stainless Steel Food Jar - I always thought Vacuum sealed food jars were just designed to hold a lot, but have a narrow opening making it a little difficult to eat from. Trudeau has definitely helped me see the difference. Not only is this insulated food container holding 12oz of mine or my kid's favorite food (compared to the 10oz that the other "convenient ones" hold), but the opening is WIDE enough to not make it feel like a struggle to eat. 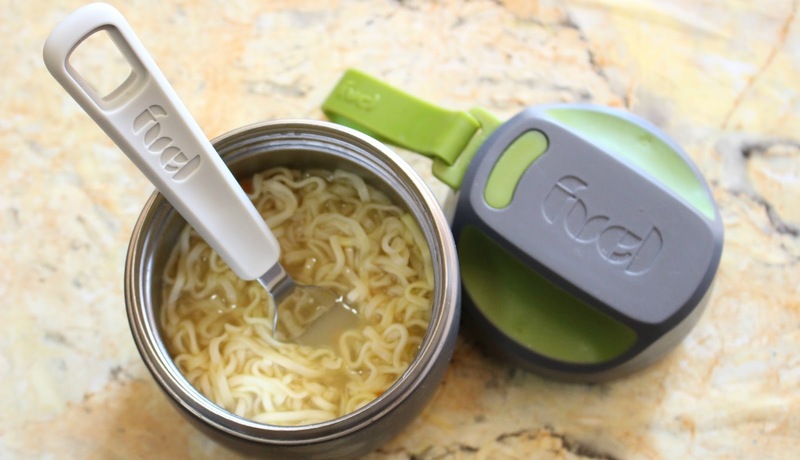 It's leak-proof too so It can hold my daughter's favorite soup and no matter how it lands in her bag, none will seep through. Snack Pockets - These functional "snack keepers" are lined with an easy to clean, lightweight and tear-resistant material. The set includes a small pocket (for pretzels, bread sticks, etc.) and a large pocket for trail mixes, grapes, sandwiches, etc. FUEL also has a trendy upgrade to those brown paper bags that we all had in school! It's their eco-friendly Classic Bag. Perfect size for food and beverages, plus it has a velcro closure that goes all the way down the middle so that you can close it to your desired size. 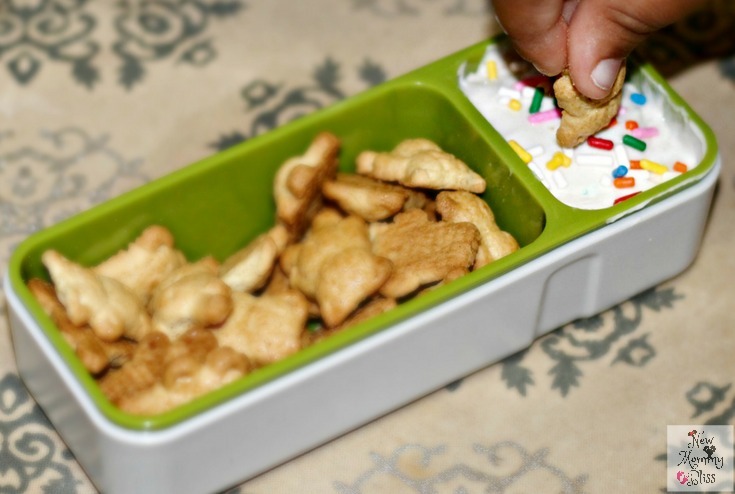 Snack'N Dip Container - This is definitely my FAVORITE of the bunch because the possibilities of filling are endless! It has a 2oz section and 5oz section that holds whatever tony due you like. Whether it's whipped cream and strawberries, Guacamole and chips, Cheese and Crackers, even Dunkaroo Dip and cookies! We have been having fun with this container and will keep doing so. It even brings it's own spreader that actually snaps on to the lid. Snap cutlery Set - includes a stainless steel fork & spoon with polypropylene handles that simply snap together... That's right, it SNAPS together! It does so to allow accessibility and safety. Condiment Set - Made into the perfect size to hold salad dressings, condiments, sauces, dips, nuts, you name it. The pack includes three different colored containers, each with a 1.5 oz. capacity. Great for managing sized meals and snack portions. I use mine as surprise treat holders because my kid never knows what's inside until it's time to open them. Lastly, Double Wall Sipper Bottle - Sized just right to hold single servings of my child's favorite hot cocoa and/or cold beverages. 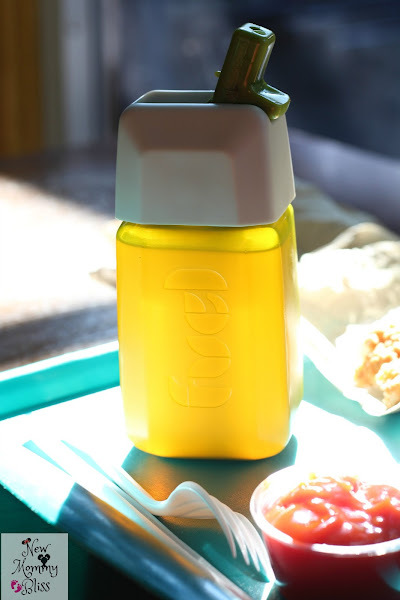 The Double Wall Sipper Bottle features a leak-resistant, soft tip flip sprout and a non-skid base. It looks like any adult ones that we use so my kid loves to feel like one of us. We got the Raspberry color, but it's also available in Kiwi. FUEL products are easy to transport, completely reusable and even recyclable to minimize environmental impact. All their Products are also BPA free! We know our kids are rough, that's why you need products that aren't weak and Trudeau's FUEL Collection is just the thing you need. Everything is affordable from $4.99 up to the most expensive at just $24.99! Which of these products would be your favorite for On-The-Go? My kids are all too old for these types of things now, but back in the day that sippy bottle would have been perfect! My kids were masters of spilling - even when they had sippies. I would have to agree with you the Snack'N Dip Container is my favorite, but all of these suggestions are pretty cool! These look great, I could've really used them about 8 years ago when I lived in the States. These things never come to Denmark, so fortunately I work from home now and don't have to pack lunches for anyone. Otherwise, I think I'd probably be paying insane customs fees to import them. I want these for myself! So this is basically amazing for my little one! I would love to be able to have these reusable items that are perfectly sized for his little hands! I like the stainless steel container that would be perfect for soup. I would also love these for myself!! I'm a sucker for tupperware, especially coordinated sets! 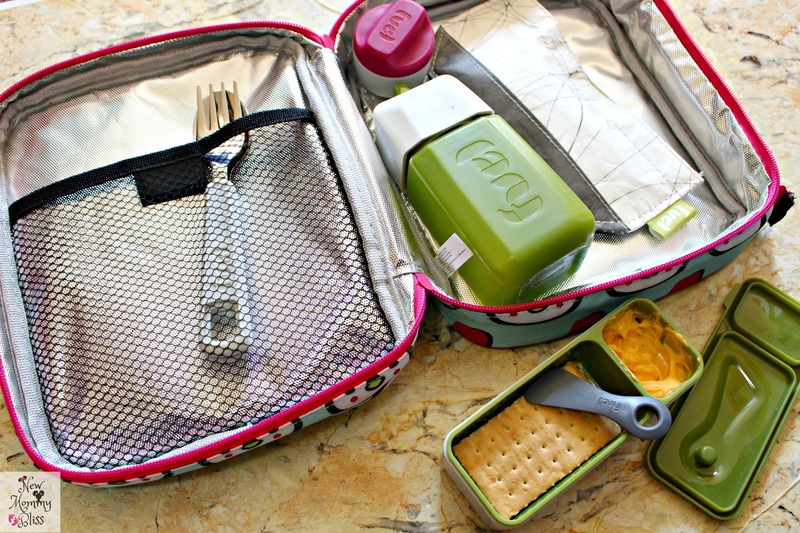 This would be perfect for my kid's packed lunches! I would love to have the juice box and the stainless food jar. But all of those would be perfect to carry on road trips! I would love to have this set or more for my kids. I send disposable stuff for the most part. The Snack'N Dip Container looks like it could really come in handy. Great collection. I'd say the food jar, our kids love it when they get hot homemade soup to take for lunch instead of the sandwiches everyone else is having. I would love to have these containers for the kids lunches. The Condiment Set would be fantastic. I never have a small enough container for the ranch dressing.